The Greater Chattanooga Association of Realtors (GCAR) has demonstrated its involvement in the North Georgia goes deeper than selling homes and land this past week. GCAR and the North Georgia Council of Realtors hosted a luncheon with the heads of Catoosa, Walker and Dade Counties on March 26. Realtors packed the room at The Colonnade Center for the lunch meeting, prepared to learn about all of the activities and developments in these 3 counties that comprise more than 20 percent of the closed sales in the GCAR region. Steven Henry, chairman of the board of commissioners for Catoosa County, led the discussions. He covered a variety of infrastructure investments currently in progress and planned throughout the county. He also covered jobs and new businesses coming into his county in the near future, along with the need for additional land to develop for business relocations. The county leader is actively looking for land to develop into a business park, but stressed it would have to be purchased at fair market value to make good business sense. Next up to address the group was Ted Rumley, board chairman and county executive for Dade County, who announced two employers coming into Dade County, each creating 300-400 new jobs. The county is actively working with another manufacturer, he continued, that is looking for 300 acres to develop, which could bring 1000-plus new jobs. Rumley said 1,000 new jobs would make a major impact in a county with 16,500 residents. Newly elected Walker County Commissioner Shannon Whitfield presented a recap of accomplishments his team has made in the first 75 days in office. He addressed the group by explaining his first priority was to literally clean up the county so residents and Realtors alike could enjoy improved property values. Whitfield led by contrasting code violations cited in January and February vs. the prior two years. He explained that his team is focusing on dilapidated houses, garbage, junk and junk cars to make an immediate impact in the community. In one example, 15 dilapidated houses have been cited YTD vs. only seven for 2016 and one in 2015. Future plans include a “tire amnesty” day to encourage residents to bring in old tires vs. dumping and a close examination of waste haulers to ensure their loads are property secured while on the road in Walker County. Realtors often act as ambassadors to relocating families, and this meeting provided attendees with a wealth of information to share with current and future clients. 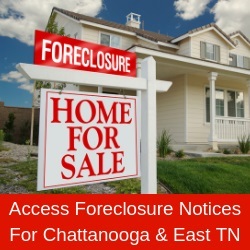 When considering buying or selling property in North Georgia, always work with an experienced, licensed agent from the Greater Chattanooga Association of Realtors.